What made young Cassius Clay begin training hard at a tender age of twelve and win his debut boxing match? Apparently a spark ignited inside him when his dear bike was stolen and he wanted to knock down the lifter. Boxing became the mean to introduce young Clay to the outside world. His coach found him sassy and hardworking and the boy with his supreme confidence and intricate dance steps won his first Olympic gold in 1960, at the age of eighteen. He has been entitled The Sport Personality of the Century by BBC and is known to the world as Muhammad Ali. Clay changed his name to Muhammad Ali in 1964 after joining NOI and accepting Islam. Ali has been a great athlete alongside being a philanthropist. His aura has sparkled vividly both inside and outside the ring. Muhammad Ali, the name which became a boxing phenomena, was famous for his punches and fighting techniques. 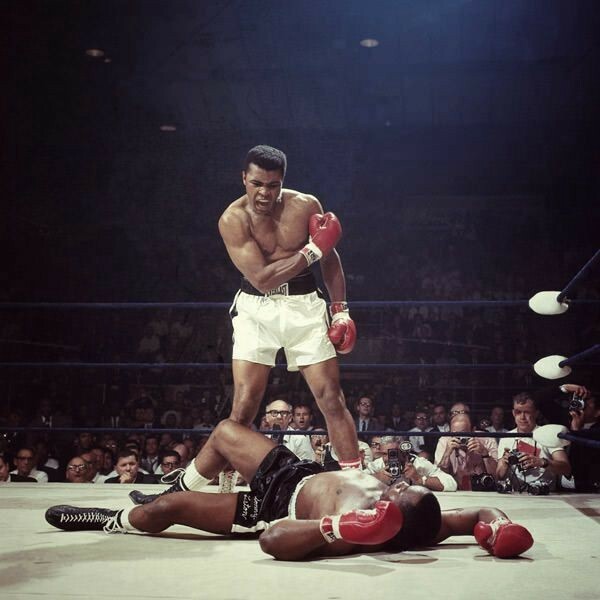 His Anchor Punch against Sonny Liston and the Rope-A-Dope technique which knocked down George Foreman are world famous. But what we all fail to see is what lies beyond his strength. Famous psychologist Dr. Carol S. Dweck in her book Mindset explains Ali’s mind, going beyond his physical strength. You would be surprised to know that Ali didn’t have the strength or the physique of a perfect boxer. He had speed and agility but lacked moves and classic techniques. He boxed all wrong, with his jaw open and pulling his torso back to duck the punches, like an amateur. Then what was it that made him knock down a legend like Sonny Liston? Dweck says it was his sharp mind. Ali was infamous for his mental games which struck the opponent’s mental jugular. He studied his opponents keenly and would try to understand how their minds worked; and then use this knowledge and words to weaken their mental game and knock them out. Ali was surely The Greatest and his supremacy lied not only in his physique but much more beyond that. His self belief and revolutionary attitude gave a hope for black pride, liberating minds and the developing world. His charm, wit and extraordinary humanitarian qualities gave rise to a new image of a sportsman. He proved that athletes aren’t merely constricted to the fields and can go beyond to fight for their people’s rights, justice and independence. Ali is an inspiration, a guide, a mentor who gives rise to the fighter within us; to fight for our aspirations and for what is right. He gives us strength to overcome the hurdles in our lives. He is much beyond the brawn, a ray of sunshine that gives us hope that each one of us can make this world a better place.